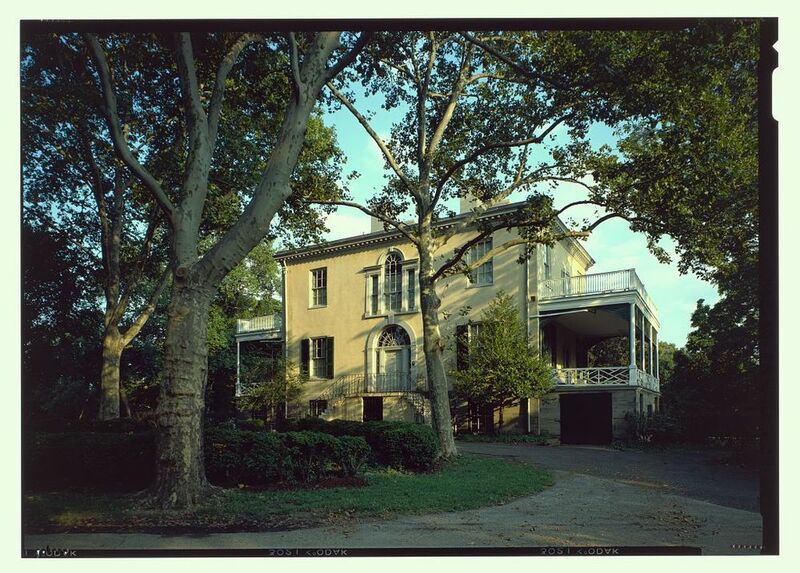 Come see the unusual and grand oval rooms and the majestic porches overlooking the river - and today’s modern skyline - which once stood proudly over a hill of lemon trees on the banks of the Schuylkill. Robert Morris, merchant, entrepreneur and financier, accumulated land along the East bank of the Schuylkill River circa 1770. Morris was a major financier of the Revolution, signer of both the Declaration of Independence and, later, the Constitution. The estate was known as “The Hills” and included an elegant greenhouse in addition to barns and outbuildings making up this working farm. By 1799, Morris was forced to sell his property to Henry Pratt, due to financial difficulties. Front Entry to Lemon Hill. Photo by Samantha Madera, 2012. 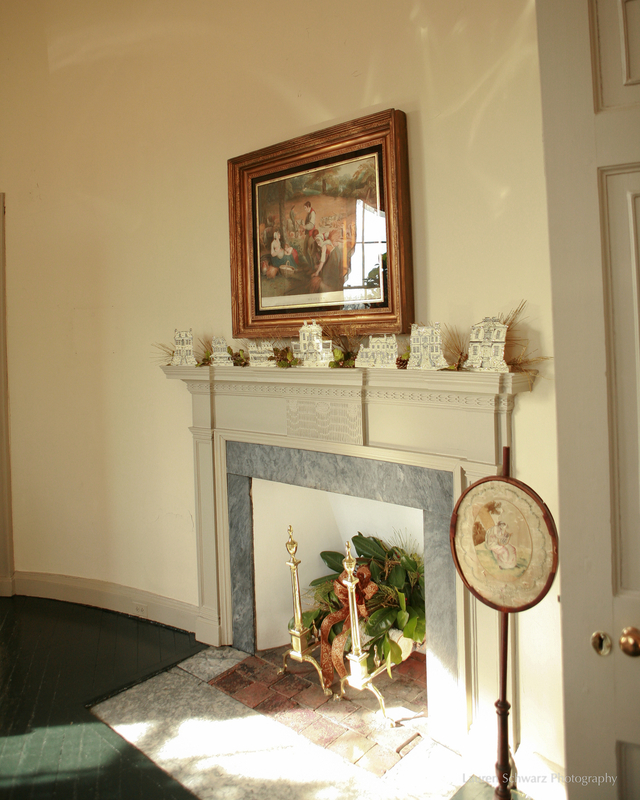 Pratt, a merchant, built the current house in 1800, which he named “Lemon Hill” after the lemon trees in the greenhouse. He spent time renovating and enhancing Morris’s original greenhouse, and adding to its collection of exotic plants. Pratt would open his garden free to the public. 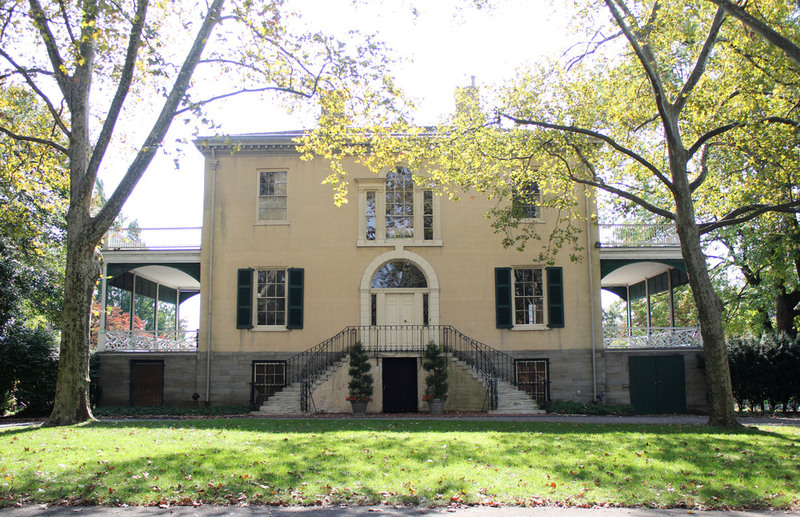 After Henry Pratt’s death in 1838, Lemon Hill became the first private property acquired to protect the city’s water supply, and the home became the first park land formally acquired by the City for the creation of Fairmount Park. Since then, Lemon Hill has seen a variety of uses, including a German beer garden with feasting, a site for concerts, a restaurant, as well the home of the first director of the Philadelphia Museum of Art, Fiske Kimbell. He restored the house to its original appearance, and lived here from 1926 until his death in 1955. The house represents the important influence of classical antiquity on early American architecture of the time. Built in the neoclassical style popular in the Federal time period, Lemon Hill features a pair of impressive curving steps leading to the double door entrance. With elegant sidelights and a delicate fanlight, this is the entry to a refined, spacious country home. The most interesting feature has to be the unusual oval rooms on three floors, with unique curved doors and fireplaces. Lemon Hill’s large porches allow for sweeping, dramatic views of the city and the river. During the Victorian era, the house gained some decorative elements such as cornice brackets, extra porches, and awnings, which were quite popular at the time. Lemon Hill is unique in Philadelphia, and unusual in the rest of the country as well, by having an elliptical bay containing three stacked oval rooms. In these elegant rooms, you will see luxurious mahogany for the doors, each section cut from the solid wood to match the curve of the walls. Situated on a hill overlooking the Schuylkill River, Lemon Hill was designed to be an impressive showplace and remains so today. Thanks to a recent restoration project, visitors can enjoy the view of today’s modern city skyline, including a wonderful vista towards the Philadelphia Museum of Art, from the historic porch and gaze down upon the celebrated Boathouse Row, imagining the original groves and countryside of the past. Each of the Charms houses is represented individually in the logo. These key icons are based on the unique qualities of each home --- here the key echoes the lemon trees grown on the grounds, hence the name Lemon Hill. For more information regarding Lemon Hill Mansion please check out their website here. Follow Lemon Hill Mansion on Facebook here.